This was written for a dear friend who is looking for some way to reach her sister in the darkness. May it touch you as well. I stand still and try to disappear into the darkness around me. The cold is unbearable and soon my body begins to shake in search of some warmth or light. Finding none, I curse everything and everyone. In desperation, I gather up all my pain and begin to knit together a blanket. Weaving in every insult, every punch, the horrible unspeakable things, the shame and the evil I know all too intimately. I step back and look at my blanket. It is beautiful, a complex knit filled with all the colors of sorrow and despair. I fling it around my shoulders, and like a superhero, it gives me the identity I so crave. Now I am someone special because of my pain. I am a survivor. I am not numb anymore and I am alive. The blanket makes me think and feel. I spit in the face of everyone who has hurt me. No longer shivering, I parade around in my blanket for all to see. I sleep curled up in my blanket, the softness making me feel comfortable and safe. I never let it out of my sight. When others try to get near me, snap, I fling the stitches in their face. Only I know the truth of my pain. Only my blanket can protect me. 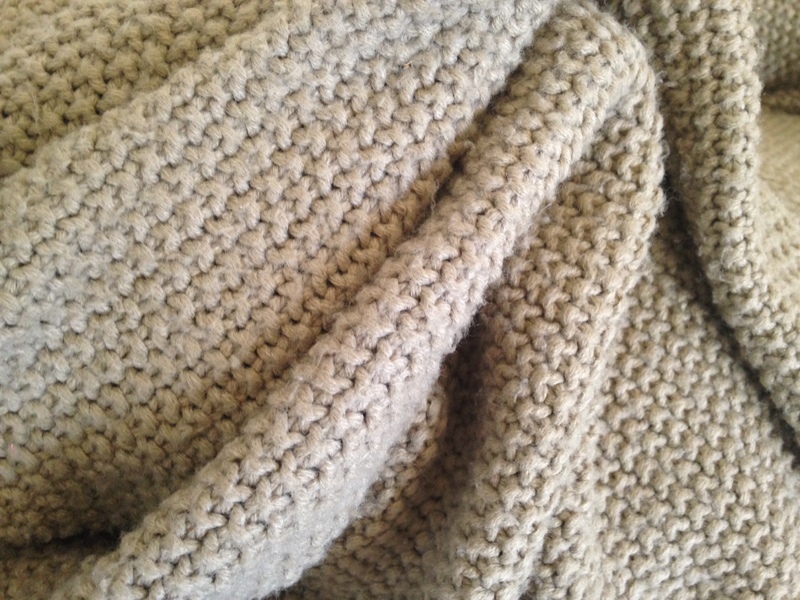 Over time though, the blanket becomes worn, heavy and the stitches start to unravel. I desperately cling to it, but the power seems to be fading and the cold and darkness reaches me again. Huddling under the blanket with tears streaming down my face, the blanket refuses to comfort me anymore. It mocks me now and I get angry. I look until I find something else to give me comfort. They all offer a moment of warmth. I lay down and now the blanket is so heavy I cannot move. My body is being pushed into the earth and the fabric is cutting into my skin. I pray for death to take me away. Then I hear a voice quietly whispering my name over and over. I recognize this voice instantly and recoil from it. No. Go away. I’m too damaged. Too broken. Just leave me. But the voice continues to whisper over and over and then gently tugs at my blanket. “I don’t need help,” I yell and pull the suffocating blanket so tight around my face that I can barely breathe. He whispers my name again and I feel the blanket slowly peeling away from my body. I tug against it one more time and then let go. All at once He takes the blanket and flings it onto His own shoulders. Through tears I roll over and see Him smiling down at me. “I will carry this now,” He says. He reaches His arms out to me and without thinking I leap into them. He puts a robe around my shoulders and it is the warmest, softest thing I have ever felt. “Walk with me,” He says. I feel so light and free. The air is fresh, the colors bright and everything feels different. He tells me this walk will never be easy and I will be tempted to weave a new blanket over and over again. The pain, darkness and cold will forever chase me, but I don’t have to live in fear anymore. He has my blanket. He has my hand. I am a child of God and He loves me. Although I feel unworthy, I accept this love and this gift. Now, I proudly wear my robe for all to see and remind myself daily to let Him carry my blanket.